Dane O’Neill was born in Dublin, Ireland, but was brought up in Monkston, County Cork. His family has always been interested in racing and his uncle has a training licence. As a schoolboy he was a talented showjumper and rode 24 winners in pony races. At the age of 17 he moved to Britain to work for trainer Richard Hannon, who provided his first winner, Port Sunlight, at Sandown Park on July 15 1993. After notching just seven winners in his first three seasons, O’Neill’s career took off in 1996 when his total of 67 successes brought him the apprentice jockeys’ championship. Hannon provided the highlight of his career at the 1999 Royal Ascot meeting, when he won both the Cork and Orrery Stakes, aboard Bold Edge, and the Jersey Stakes, on Lots of Magic. A year later and O’Neill guided Bold Edge to victory in the Prix Maurice de Gheest at Deauville in France – his first Group 1 triumph. His best annual total of winners came in 2003 – 110 – a tally he almost matched in 2008 when the year closed with him on the 108 mark. 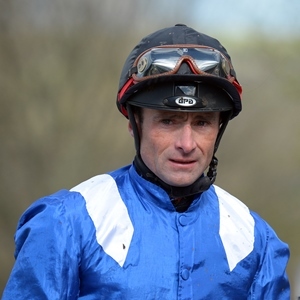 After a spell as stable jockey to trainer Henry Candy, in October 2012 he was appointed second jockey to owner Sheikh Hamdan al Maktoum, behind Paul Hanagan. In early 2013 he registered his 1400th British victory. He rode Mukhadram into third place in the 2014 King George VI and Queen Elizabeth Stakes, his first QIPCO British Champions Series placing, and followed that with another third on Music Master in the Betfred Sprint Cup. In 2015, he partnered Muhaarar to success in the inaugural running of the Commonwealth Cup at Royal Ascot. It was his first domestic Group 1 triumph.